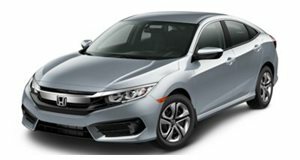 Although sales are good so far, the new 2012 Honda Civic receives a lowered rating from Consumer Reports, effectively bumping it off the Recommended list. Honda has been under fire lately from critics over their new 2012 Civic. Despite Consumer Reports not giving the compact car the much-coveted &apos;Recommended&apos; rating, customers have been continuing to buy the new car in decent numbers. According to the latest issue of Consumer Reports, the Civic was up against the new Kia Forte and Ford Focus. Both earned a Very Good rating, however, the Civic scored too low to even be considered for the Recommended list. The 2011 Hyundai Elantra now has the top spot. The Civic dropped 17 points from the previous generation with the new model earning only 61 points, bringing it down from the &apos;Very Good&apos; rating to a disappointing &apos;Mediocre&apos;. The only compact car that scored worse was the Volkswagen Jetta. The reason the Civic got such a low score was largely attributed to lower interior quality, a choppy ride, long braking distances and "pronounced road noise." Not all is bad as the Civic did get some positive remarks for its decent rear seat room and a 30 mpg average rating, which was the second best score in the test group. And it only took a week behind the wheel.